1Password is a hub for all of your passwords, credit cards, and any other information that needs to be kept secure. Users have one password that they remember and use to access their other secured information when they need it. They have three primary options to add: Logins, Notes and Identities. For convenience, 1Password has already added one of each as example entries based on the information a user added when they signed up. 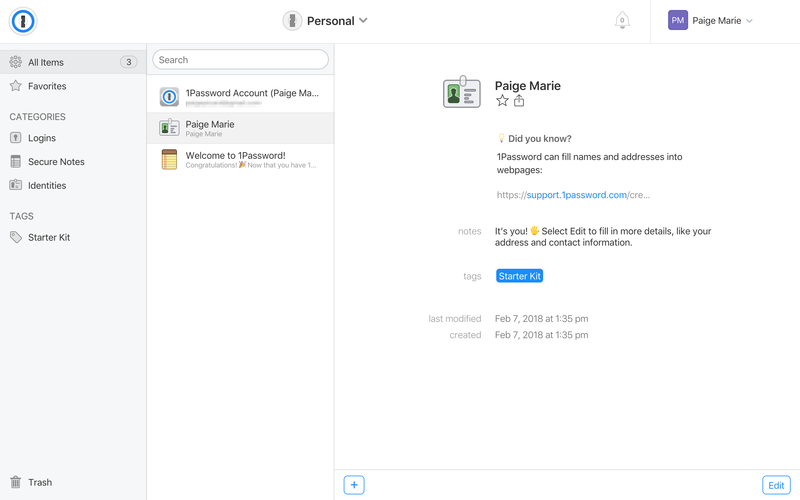 1Password welcomes new users into their dashboard with three saved cards, each exemplifying a different category, so users can see the interface of each in action. When users expand each card, they see more information and friendly descriptions into the type of information that each option allows you to save. This places all the necessary information in context so the user immediately understands how to start saving their information. 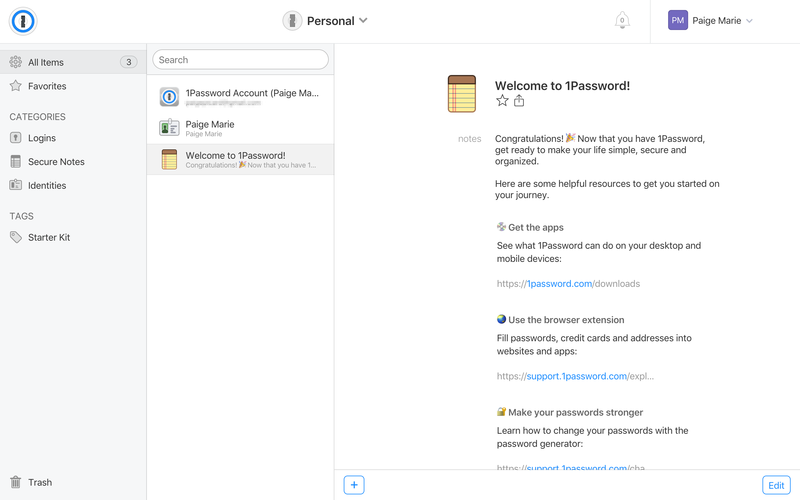 In the 'Welcome to 1Password!' note they include a list of other resources to check out that help users get an even fuller experience with the tool, including password strength tips, a browser extension, and a link to desktop and mobile apps.